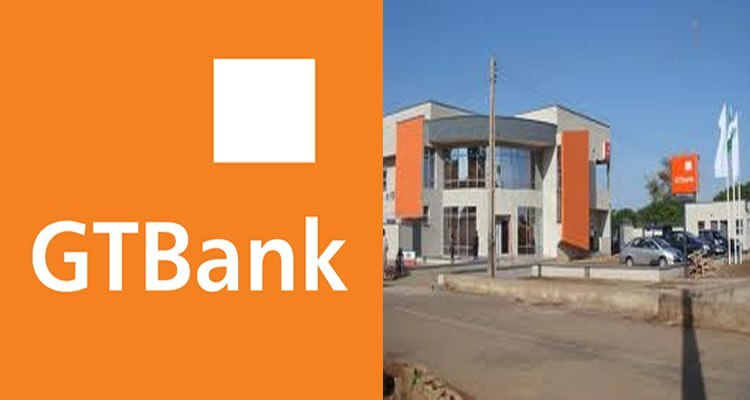 GTBank Fixed Deposit Interest Rates In Nigeria - Find The Latest Interest Rate On Investment In Fixed Deposit Account For 2017 - Connect with GTB Support for 2018, 2019, 2020, 2021 and so on. GTBank Fixed Deposit account is a fixed tenure short-term investment with a specific amount and a fixed interest payable at the end of a fixed period in which you may choose to reinvest your principal and interest income or cash out completely. For some of you who may have idle cash in the bank and wouldn't want to leave it in a savings account where the interest rate is small, here is a review of what you should expect in GTB fixed deposit account and their varying rates based on duration. Yesterday, I chatted with GTBank client support via their Facebook fan page to inquire about the interest rates on their fixed deposit and here are the responses which you can reference and use as a basis for calculating what you will be paid. If you have an amount between N100,000 - N1,000,000 to invest in a fixed deposit with GTB account, you will earn the following interest. A sum of N700,000 (Seven hundred thousand Naira) invested for 60 days will yield N47,250 ( Forty-seven thousand two hundred and fifty Naira) which is not bad as a risk-free return. If you fix N1,000,000 (One million Naira) for 60 days, you will earn a big N77,500 at interest. Press your calculator on interest accrued for fixing that figure for 60 days, we are looking at a big interest income of N875,000v- a return that beats stock market index performance in the same period. Currently, I am making inquiries on the fixed deposit interest rate of other top banks - will post it and share a link to the blog post when available. First, you have neglected to take into account that these interest rates are per annum. in which case you would have to divide by 365 (no of days in a year) and multiply by the no of days the investment will last. So using the rates you have here - 1 million naira would net you about 12,739 before tax over 60 days. I can also confirm that as at January, the interest rate was about 5.5% and in a chat a few days ago with a GTBank rep was informed that it had gone down to 4.5%. With this breakdown, it does not worth the investment on this fixed deposit for if 500,00 interest will be 1,664.38 for 30days after 10% Vat deduction and 1 million interest will be 3,328.77 for 30days after 10% Vat deduction.